There he was, a boy of 5 or 6 years, standing alone in front of the altar. He danced a little, twisting this way and that, and then he stood perfectly still and raised the camera to his eyes and snapped. His parents quietly moved around the cathedral as the dozens of other visitors were doing. They must have been watching him, but they never interfered with his discoveries and his picture taking. The cathedral was nothing but the usual Spanish Catholic variety; we had seen many like it. But it was new for this lad and whatever his eye saw was quickly recorded with his camera. The altar table, the decorative railings, the statues, the windows, the tourists. I wondered and pondered on this for a while. A child discovering the church in his own way. A child finding the gospel in a language he knows and understands. A child making memories and questions. Parents letting go of their child enough to facilitate this. A church full of images and symbols and furniture to capture a child. A camera. Technology that a child can use. 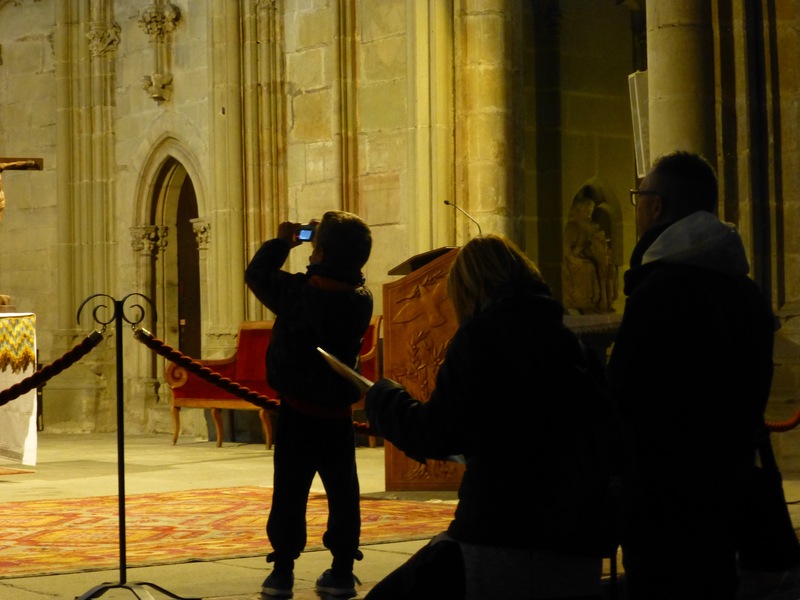 How can we – parents, and faith communities – symbolically give our children a camera in the church? What does it take to open their eyes and hearts to the Gospel? Each generation must discover its own way of engaging with God and the gospel. We cannot cling to the traditions, for they in their turn were innovations to the preceding generations. Great observation. My wife is often encouraging parents and churches to empower children in their experience of God rather than hemming them in with adult concepts and dry traditions.